The field of accounting is growing—and it’s not just due to accountant roles on popular TV series. In fact, the role of accountants is growing in popularity for a number of other reasons. Students, see why studying accounting might be a good move to secure a great future, and find out why Miami is an excellent place to undertake this career choice. As students are contemplating majors and career directions, it is important to consider a number of paths. The truth is, choosing a major takes a period of self-discovery, research, and even enrolling in unexpected classes. An individual might be interested in accounting, but he/she might not know it immediately, or he/she might lack understanding of what the career entails. According to the Bureau of Labor Statistics, “Accountants and auditors prepare and examine financial records. They ensure that financial records are accurate and that taxes are paid properly and on time. Accountants and auditors assess financial operations and work to help ensure that organizations run efficiently” (BLS). 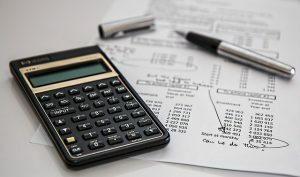 In other words, tracking finances, bookkeeping, taxes, managing accounts payable and accounts receivable, and filling out the payroll are all tasks that accountants typically find themselves completing. It nearly goes without saying that studying accounting can help students better understand the world of budgeting and tracking expenses. This is helpful for every college student or young adult who is on his or her own for the first time. Unfortunately, many students fail to learn effective budgeting skills—on the other hand, accountants are trained for this, specifically. When one specializes in a particular subject, it is easier than ever to apply it to one’s personal life, and that goes for accounting, as well! Students who decide to study accounting in Miami have a unique opportunity: to live and learn among short driving distance to the financial district of Brickell—a finance lover’s paradise, and nationwide recognized financial district! Students, accountants, and CPA’s who live in Miami have the opportunity to gain hands on experience, to attend financial networking events, and access to a greater number of career opportunities than many students and professionals living in a number of other parts of the country. Especially considering that students who attend FNU have access to the University’s Job Placement Services before and after graduation, there is a high chance to find employment opportunities. However, whether or not one lives in Miami, the job outlook for accountants shows a promising trend. The Bureau of Labor Statistics reveals that the median pay is $63,550 per year, and that the “employment of accountants and auditors is projected to grow 13 percent from 2012 to 2022, about as fast as the average for all occupations. In general, employment growth of accountants and auditors is expected to be closely tied to the health of the overall economy” (BLS). Therefore, as the economy continues to grow, so will the demand for accountants. Accounting is, indeed, on the rise. Albeit average, this is still a good sign. This is due to a number of factors. For example, nearly every company (large or small and no matter the industry) needs an accountant. Plus, companies that are publicly traded are legally required to hire outside certified public accountants in order to conduct external audits. Therefore, accountants’ roles play an important role in the everyday economy and in the success of a business. Find out more about your career opportunities with an accounting degree! One of the most important factors of being an amazing accountant is gaining the proper training as needed. This is where Florida National University (FNU) comes in handy! Not only are our professors active in their fields, but they are also well equipped to help students learn! FNU offers one of the Top 20 Online Accounting Programs in the United States! Want to learn among some of the best in the country? Live and learn among the palm trees while preparing for your career in the best way possible—through an excellent education with FNU. If you are interested in gaining your associates or bachelors degree in accounting, take a moment to review our program requirements and consider your personal career goals. Gaining your degree is the first building block to your career future! Prospective students who are interested in other career paths should also review our other programs to find the one that best suits you. Apply now! “Summary.” U.S. Bureau of Labor Statistics. U.S. Bureau of Labor Statistics, n.d. Web. 26 Oct. 2014.